MY LOTTO GARAGE by Jim Corbran, Automotive Columnist I don’t know how many times I’ve been asked the question “If you could buy any car…blah blah blah.” So a couple of years ago I started a blog called Jim’s Lotto Garage, the description of which reads “Okay, so I can't win the lottery because I never play. But if I did...” It’s not something I update every day, just when the mood strikes me. Right now it’s a 32-car garage! But it’s not new cars. For some reason I’ve focused on mostly older, often strange vehicles that most collectors wouldn’t look twice at (I’m talking to you, 1979 AMC Spirit!). But over the weekend the question was posed about new cars. 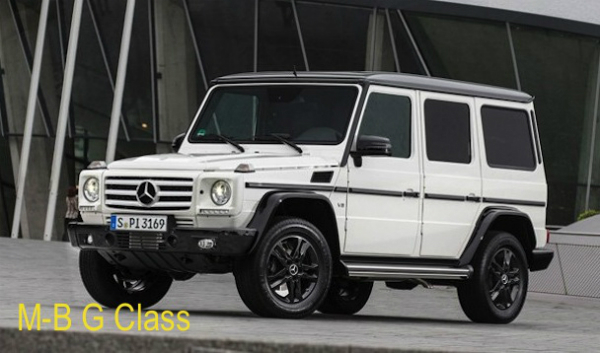 So after some thought, and the realization that my choices will probably change several times before this even goes online Monday, here’s what I’m coveting tonight: Mercedes-Benz G500 — No, nobody needs one of these, but that’s not the point. BMW i3 — when I’m feeling green, or need to show my environmentally-friendly side. Mustang — hey, I grew up in the ‘60s; who of my age wouldn’t want a new Mustang? Audi A8L — every once in a while I’ll need to show how veddy sophisticated I am without looking like a show-off. This is the car for that. Of course, that’s tonight as I write this. By the time I get into bed this list will be unrecognizable. That’s why God gave us imaginations! See the strange vehicles in Jim’s Lotto Garage here. The post MY LOTTO GARAGE appeared first on Buffalo Cars.